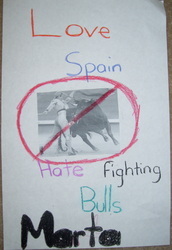 Bullfighting: Are you a Matador or Protestor? 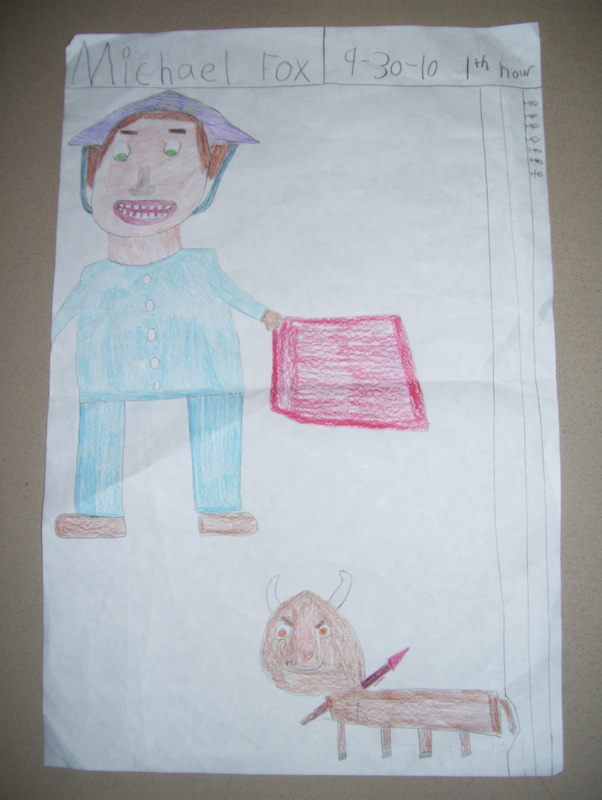 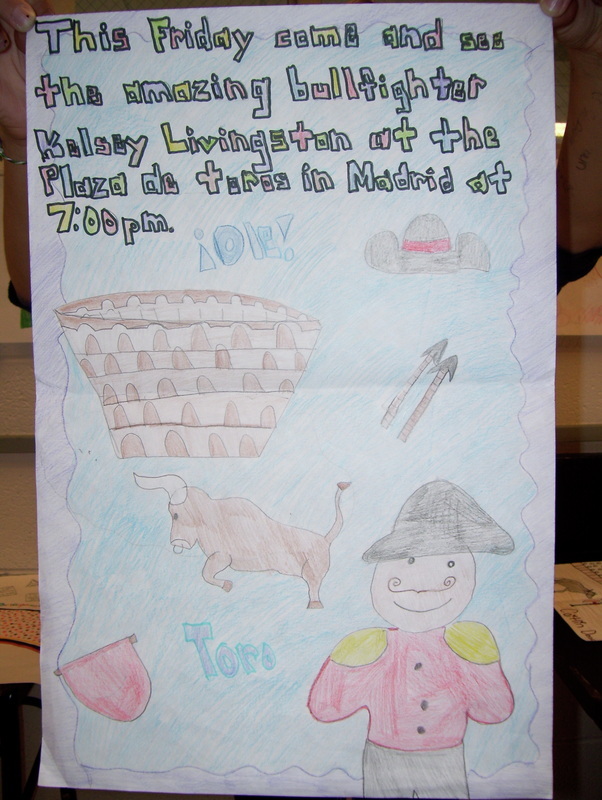 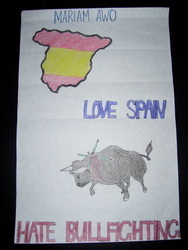 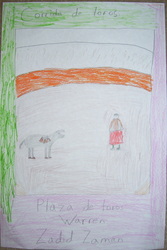 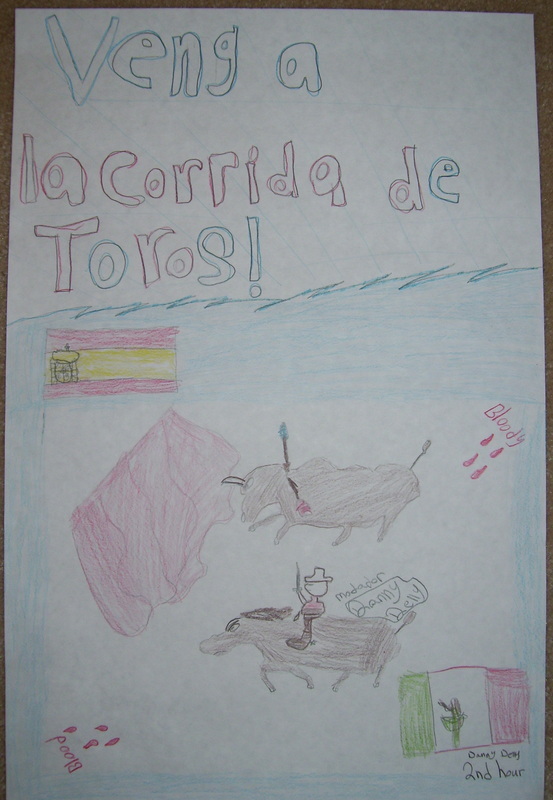 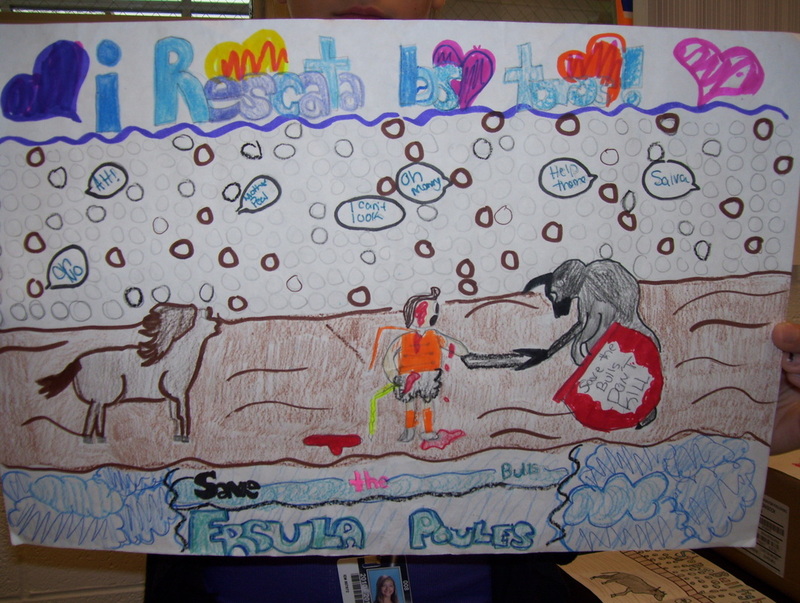 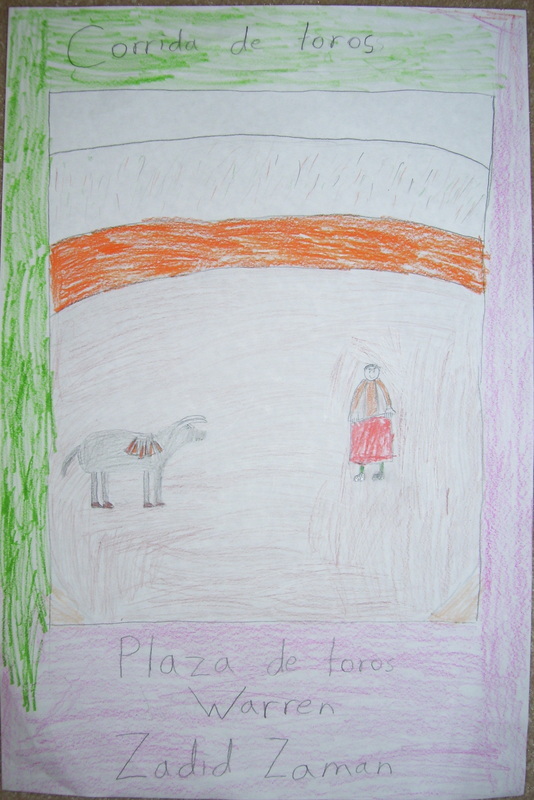 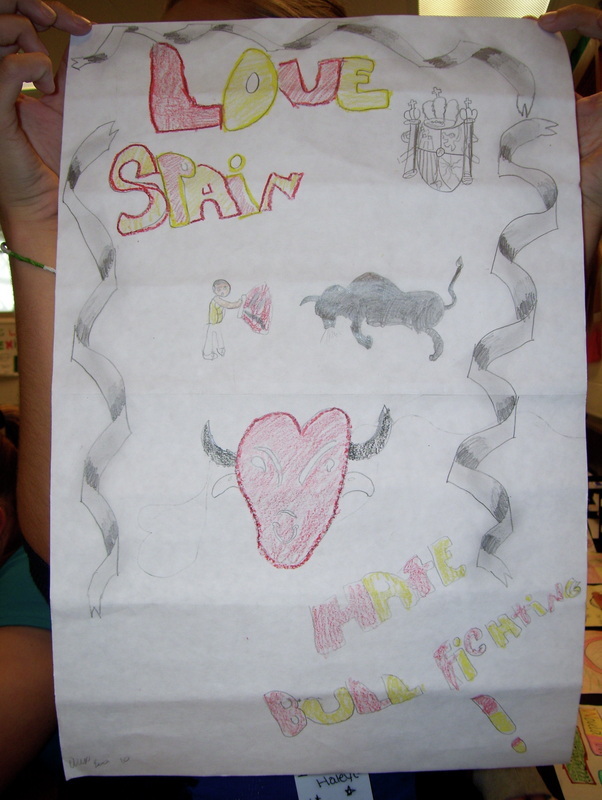 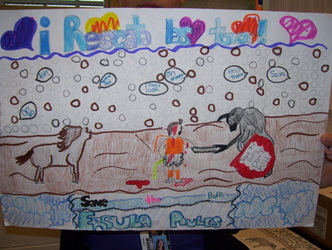 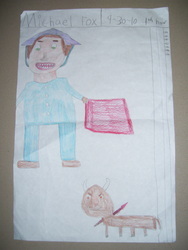 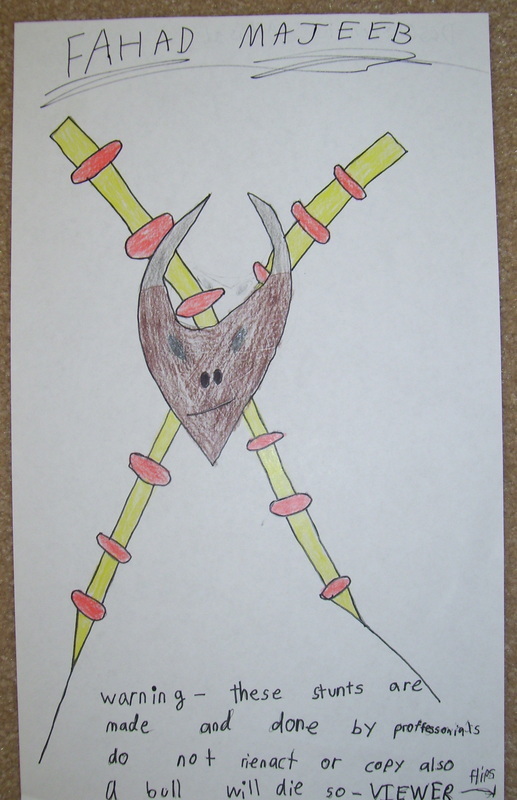 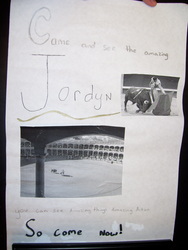 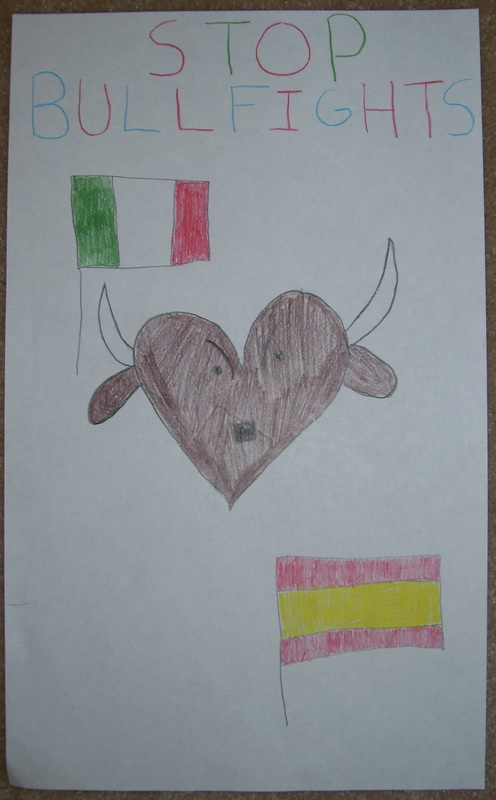 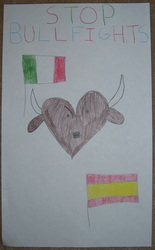 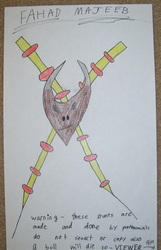 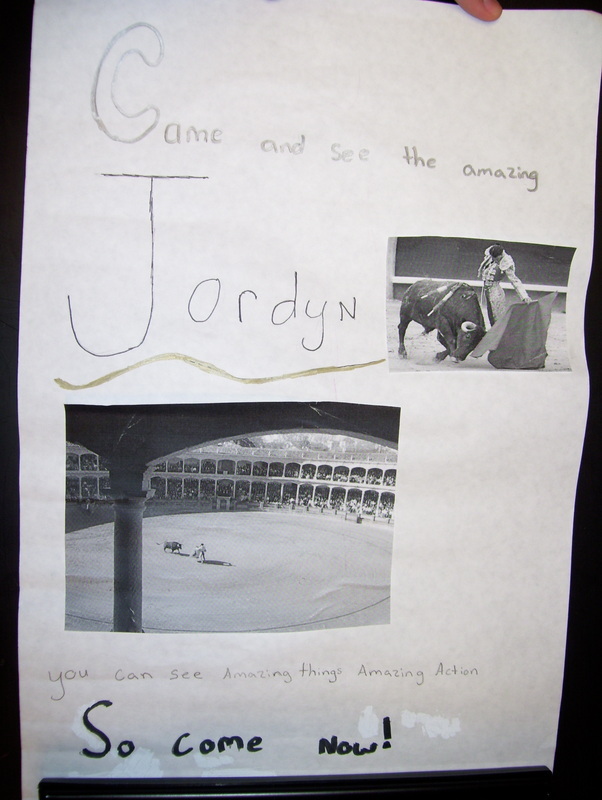 Students learned about the cultural phenomenon of bullfights in Spain and Mexico. 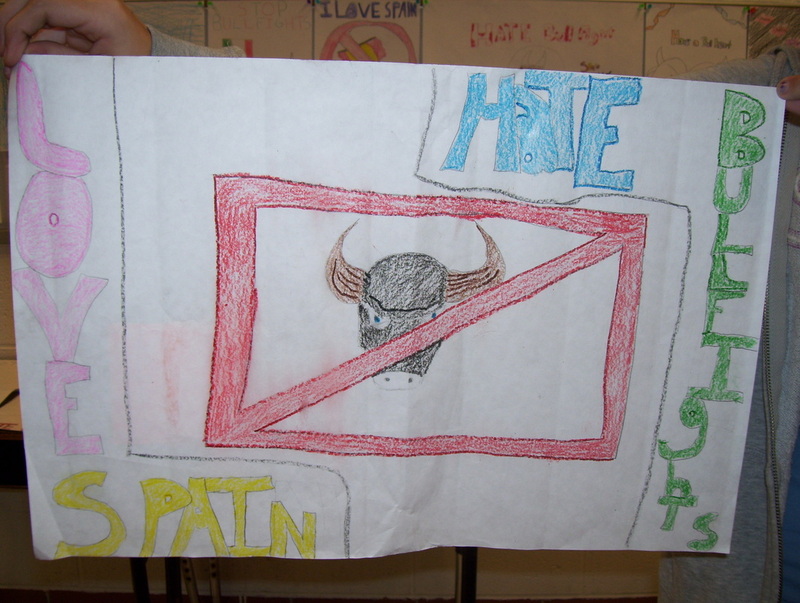 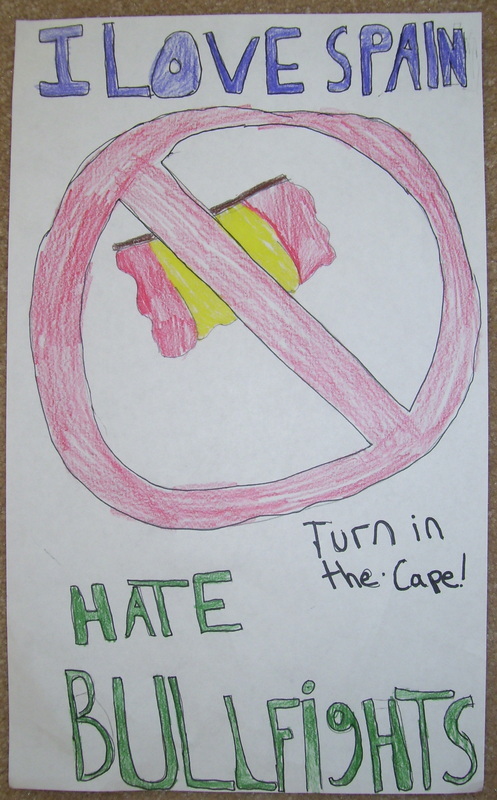 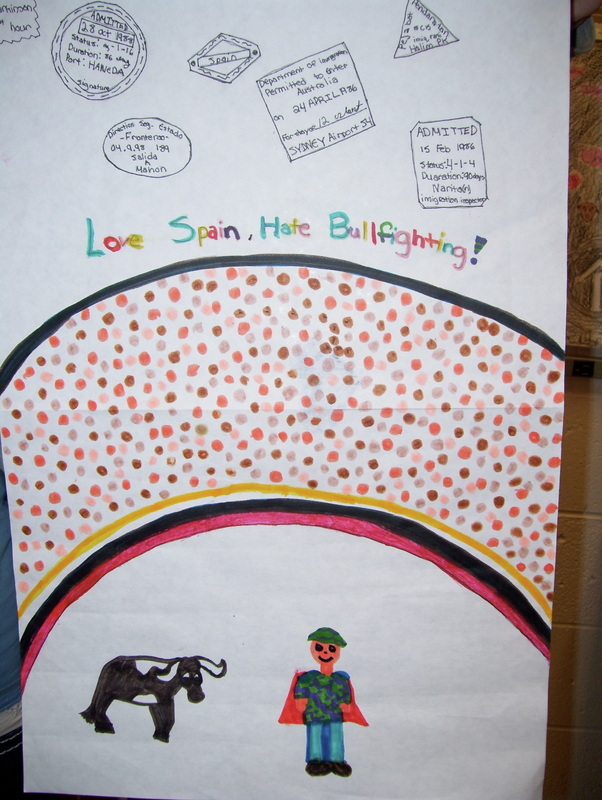 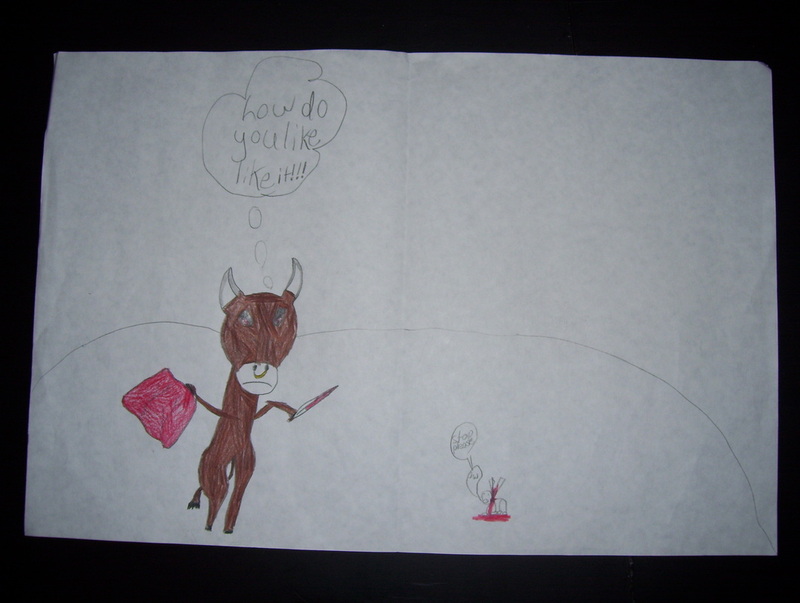 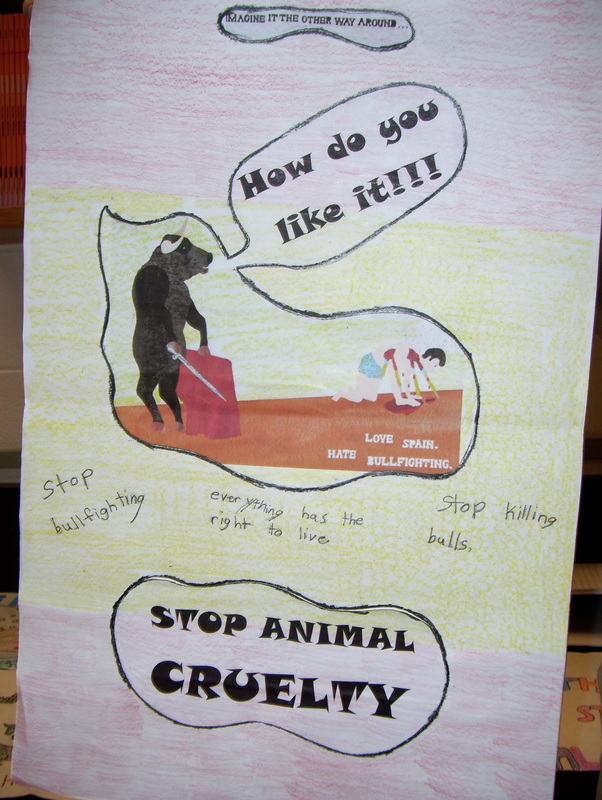 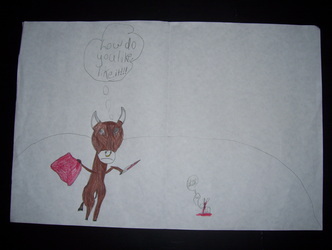 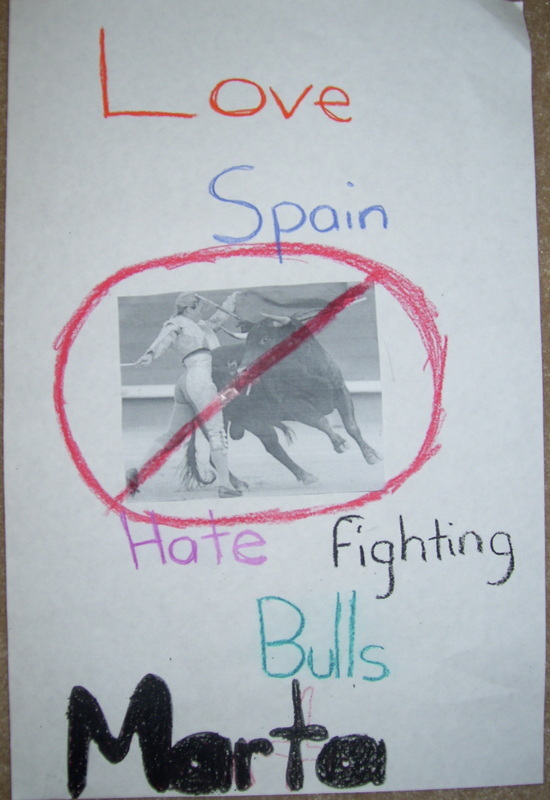 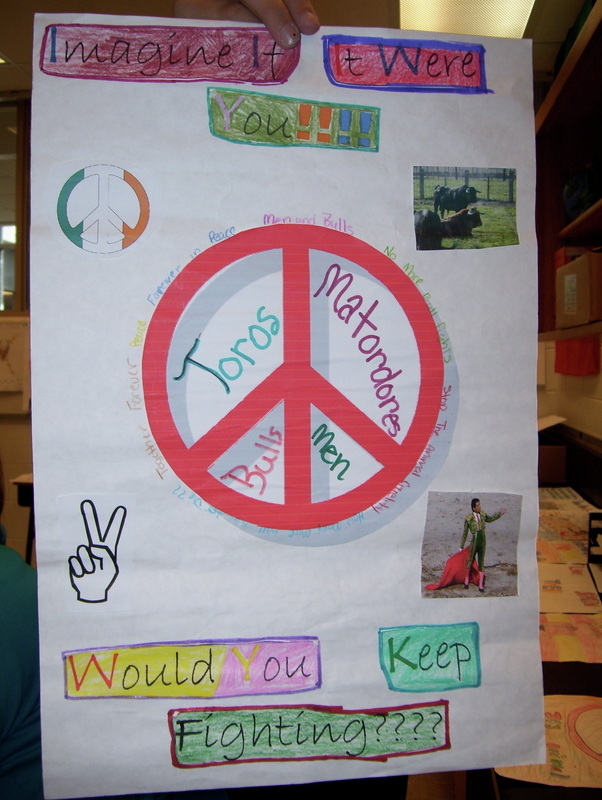 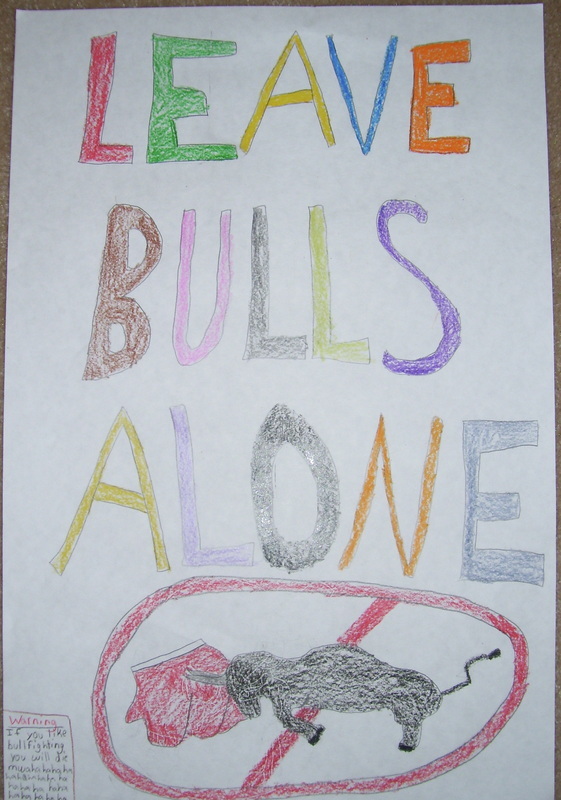 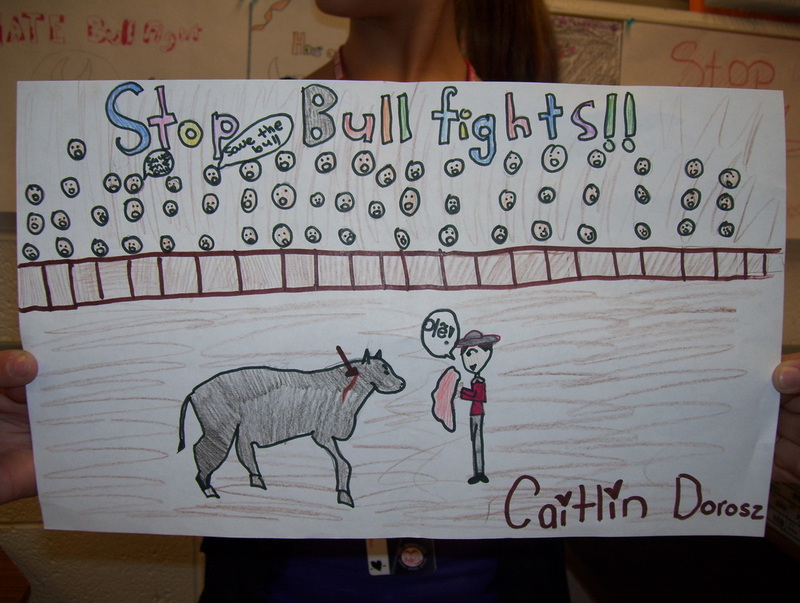 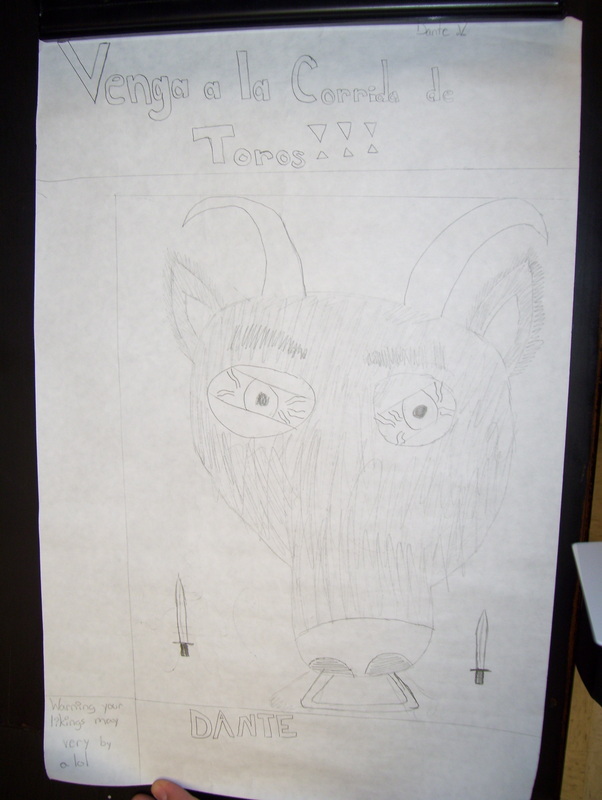 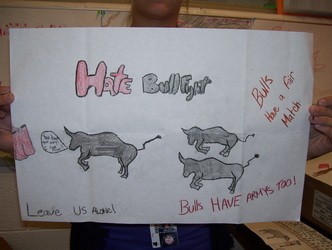 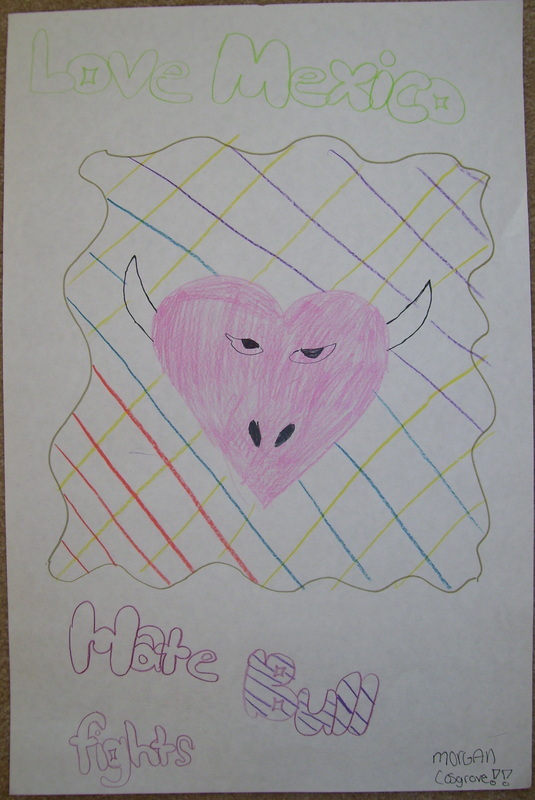 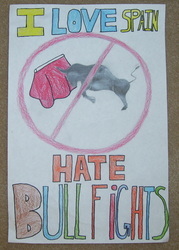 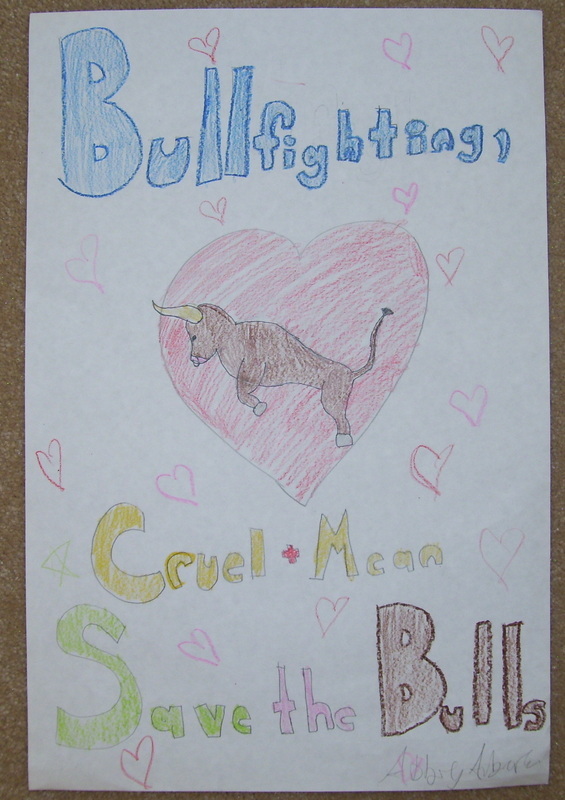 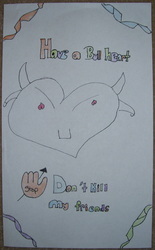 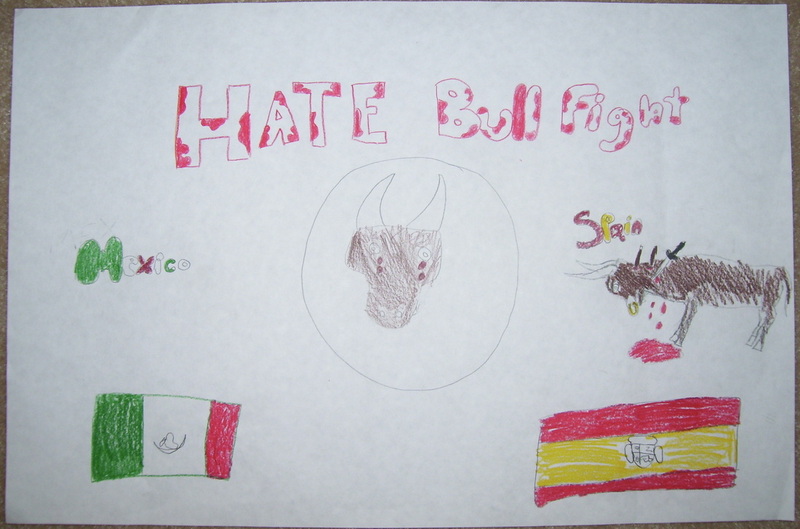 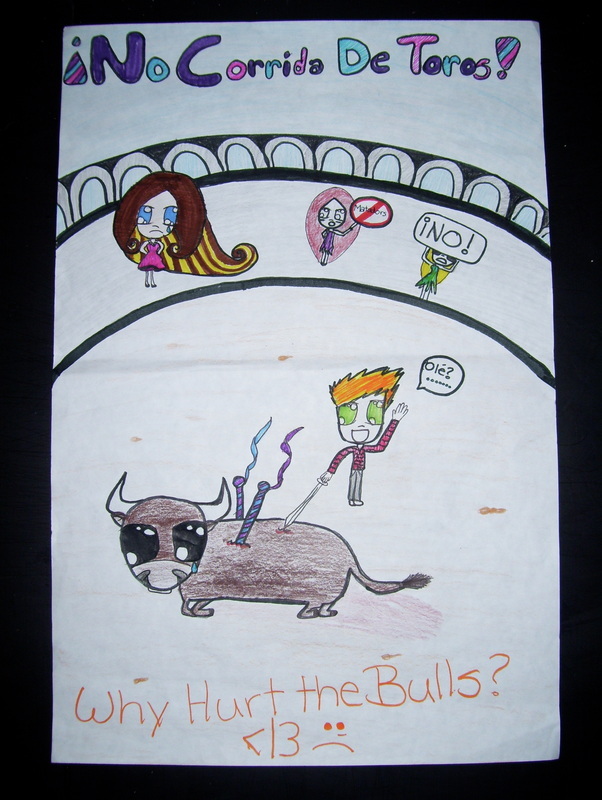 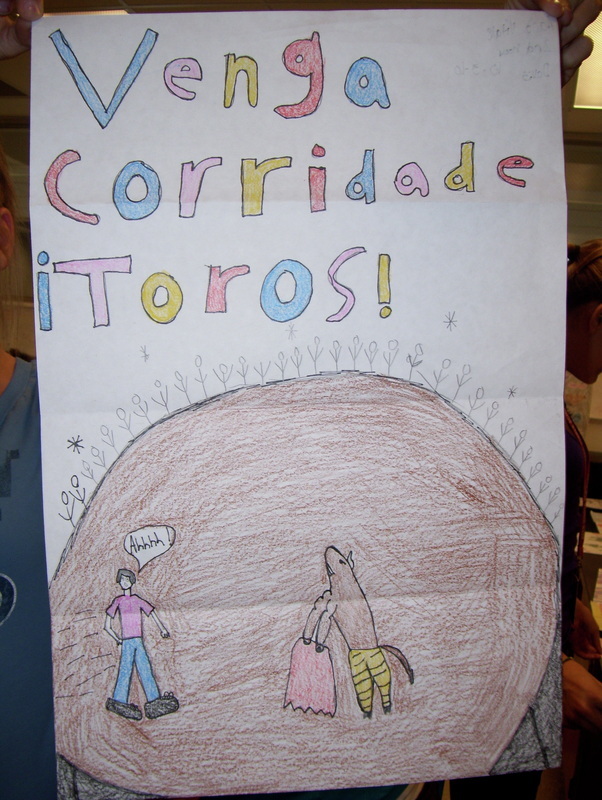 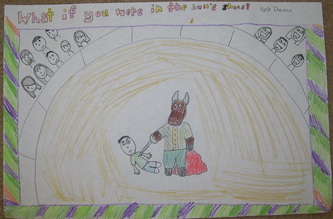 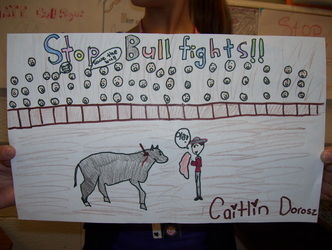 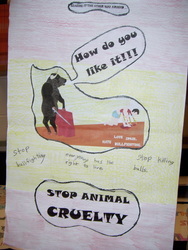 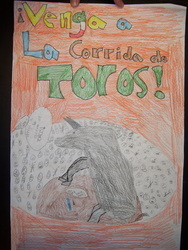 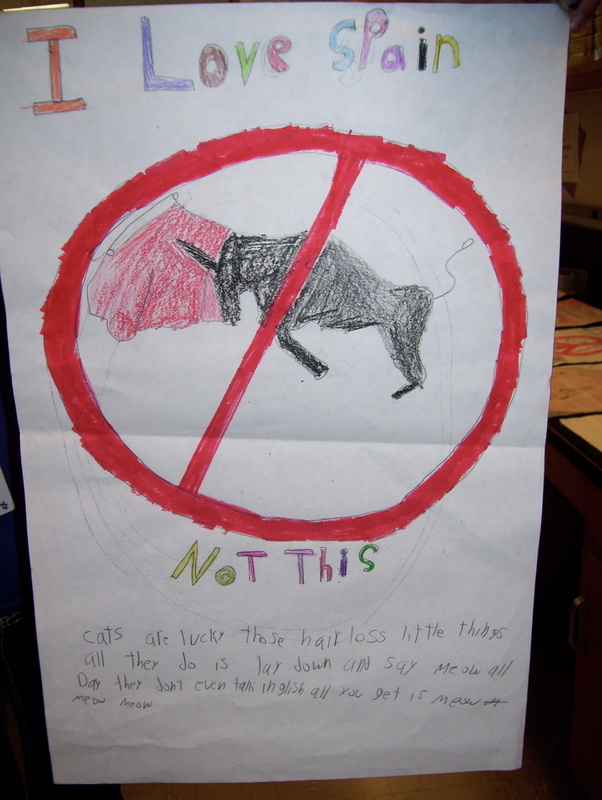 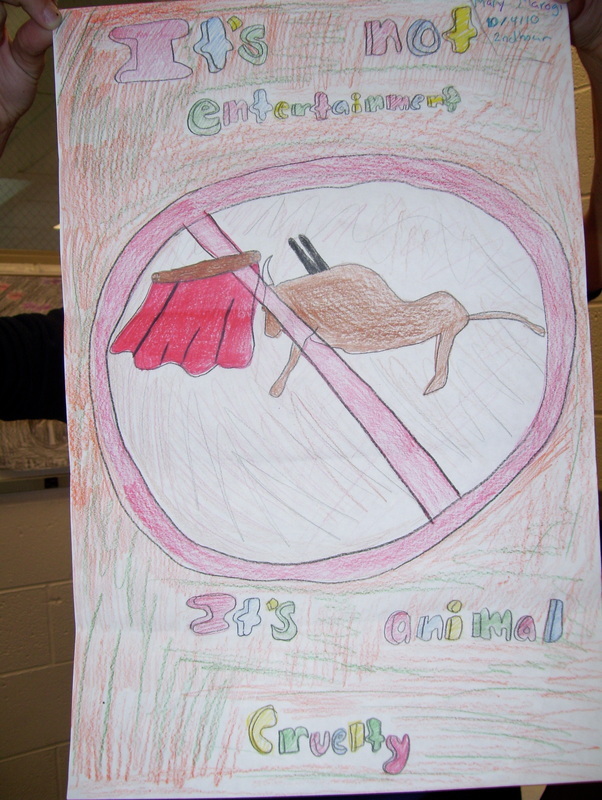 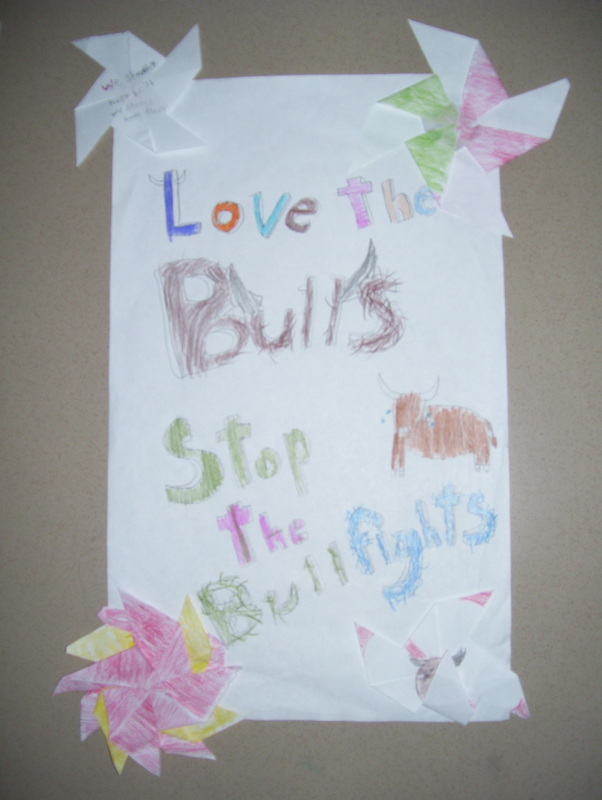 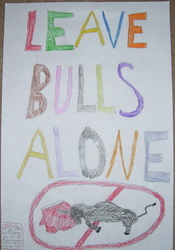 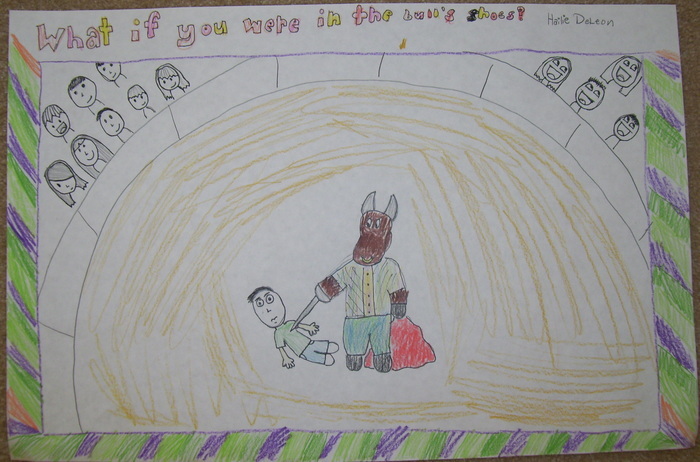 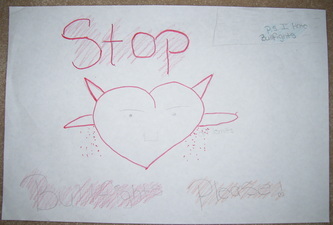 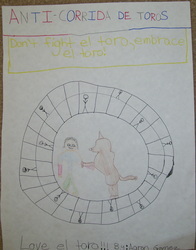 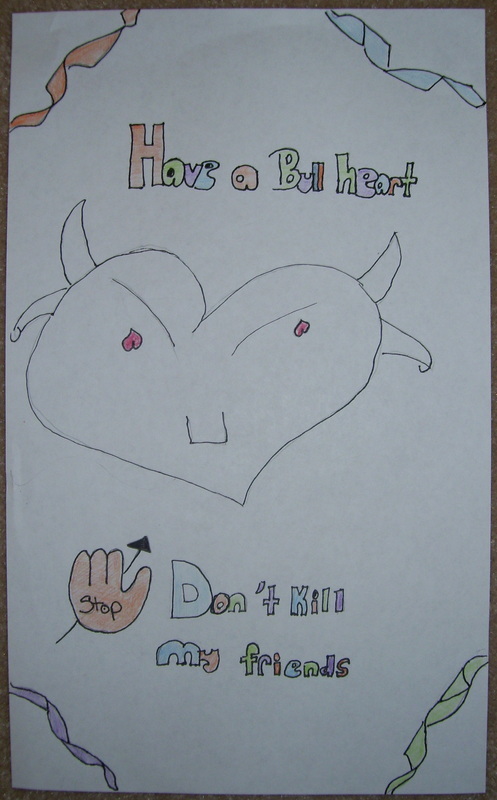 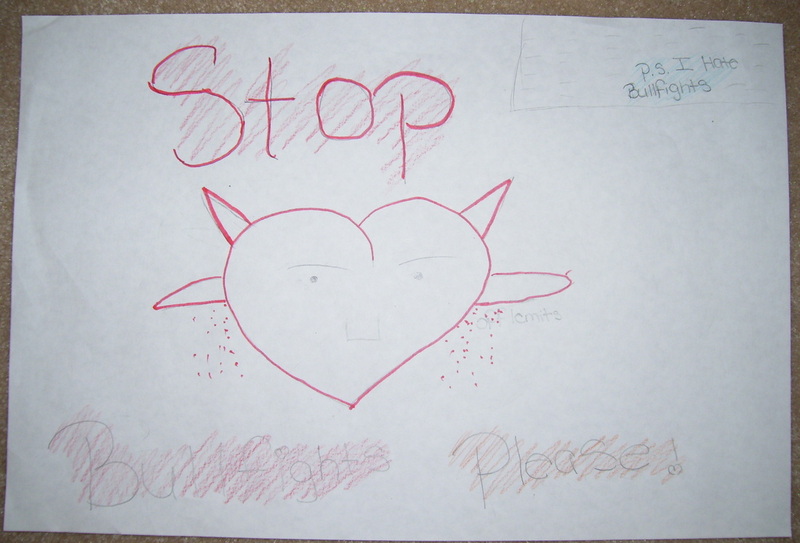 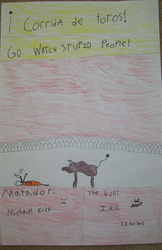 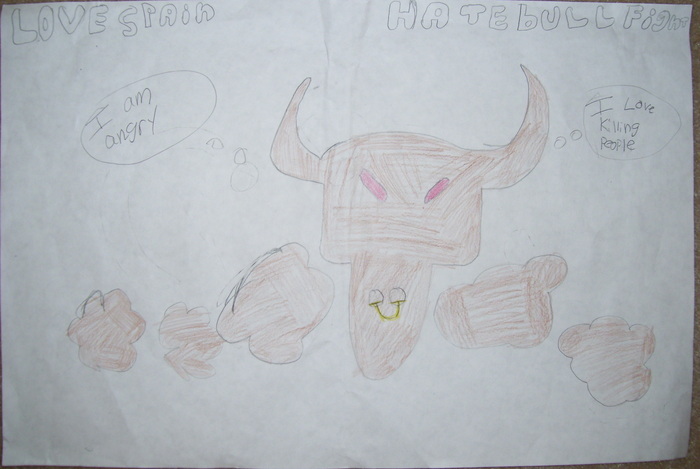 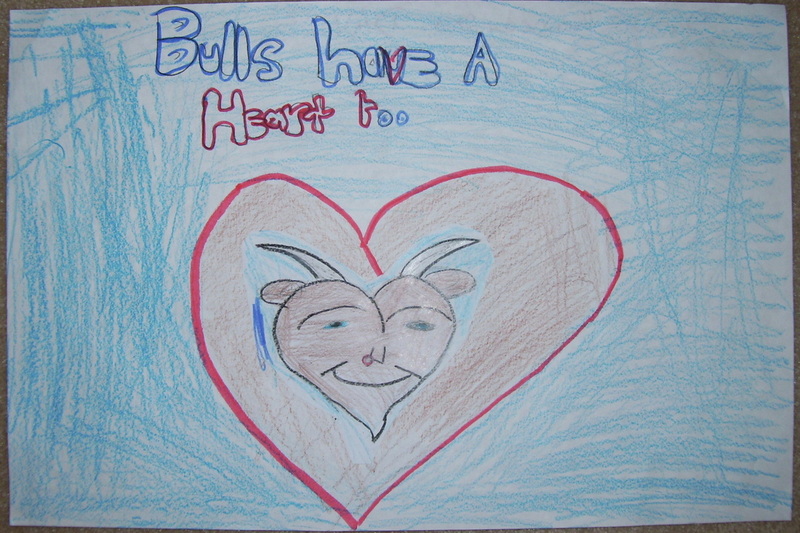 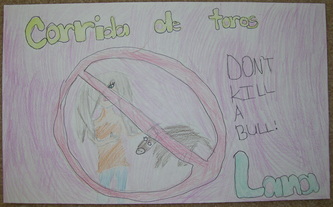 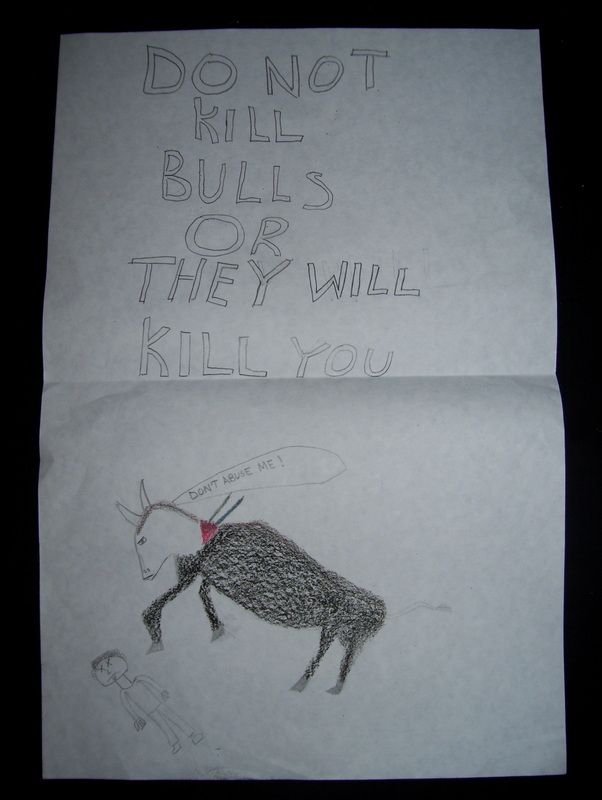 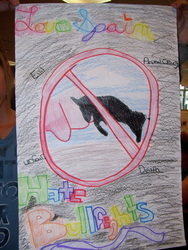 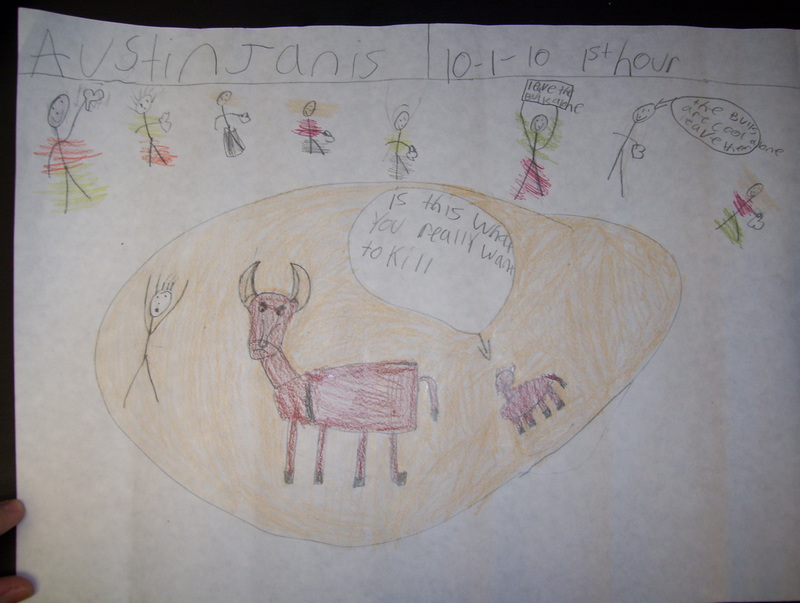 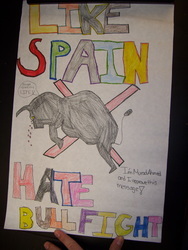 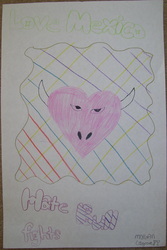 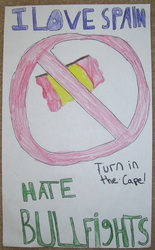 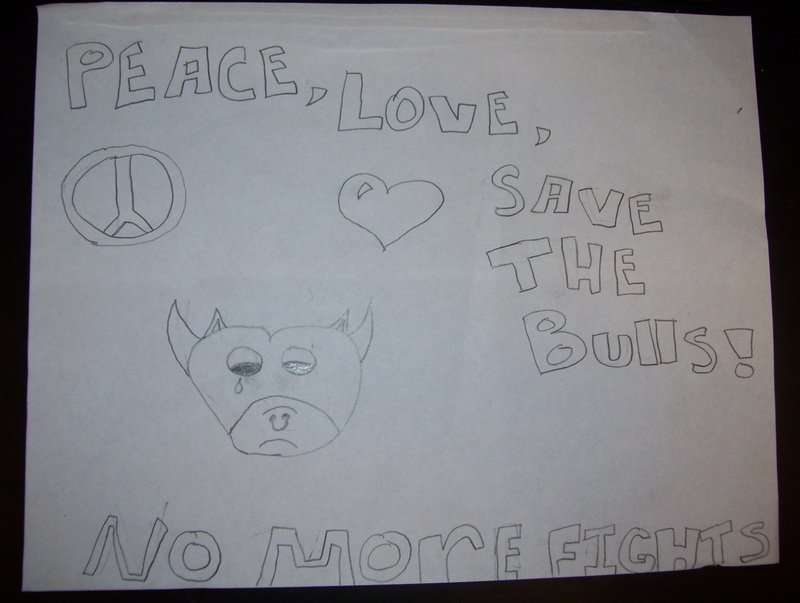 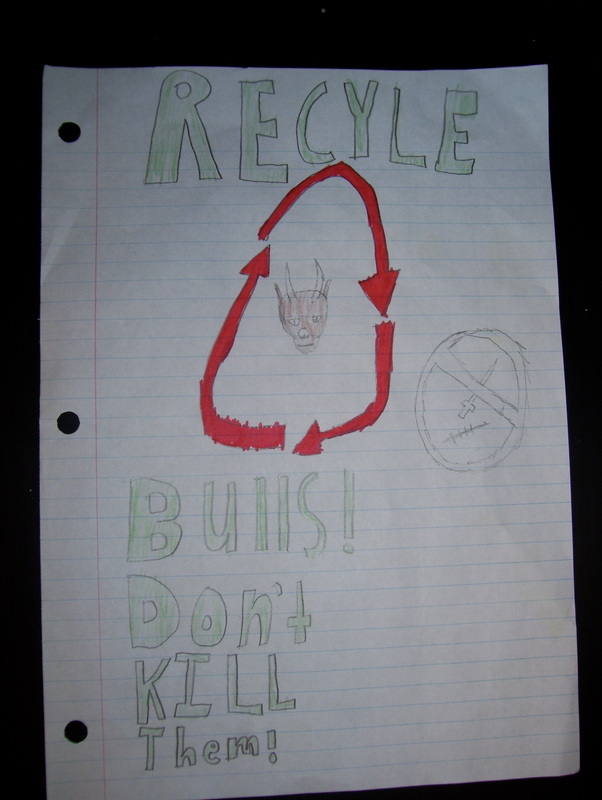 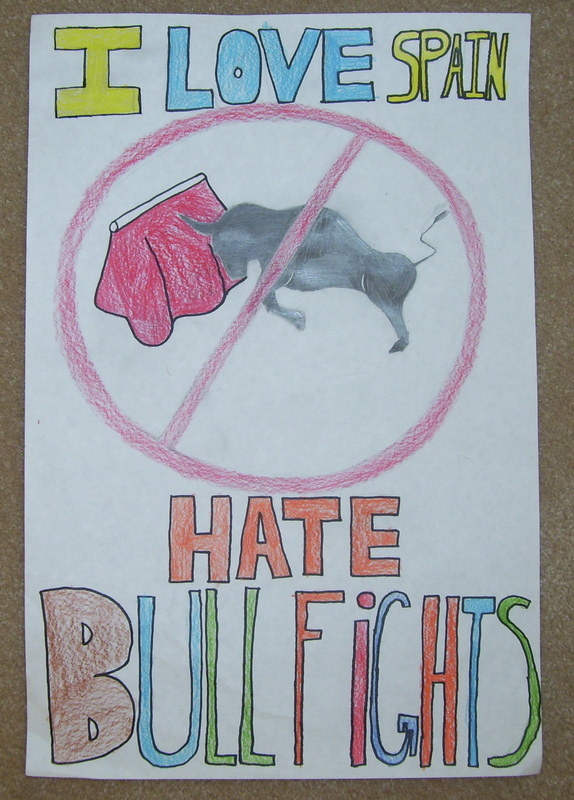 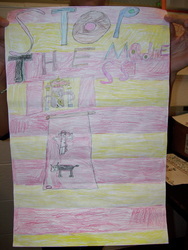 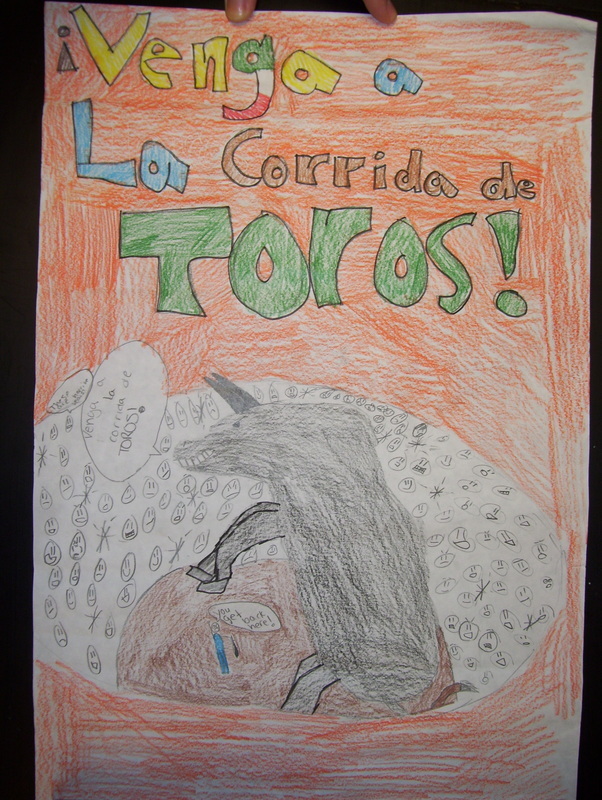 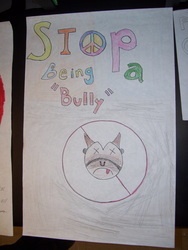 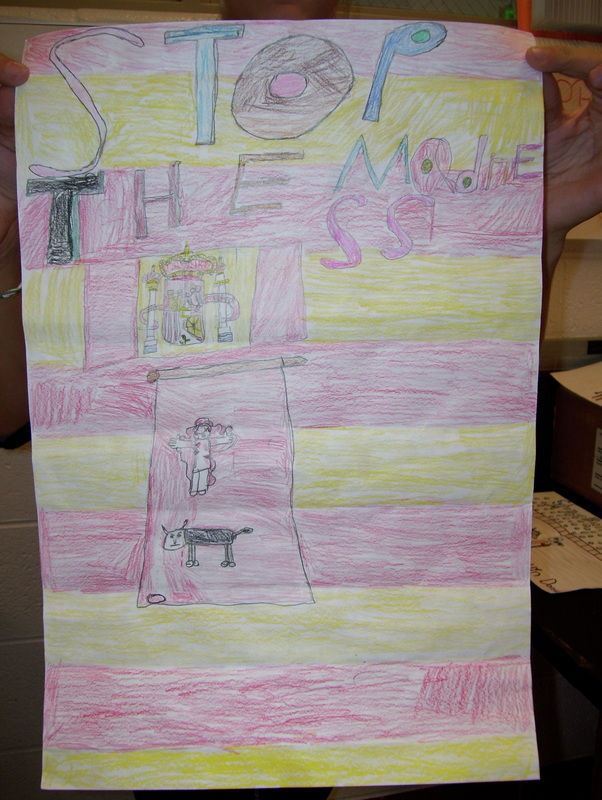 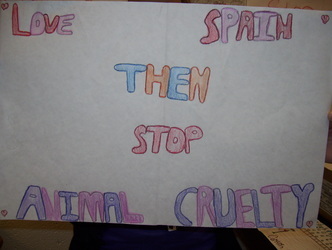 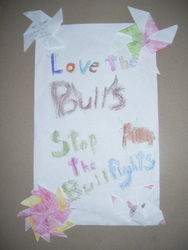 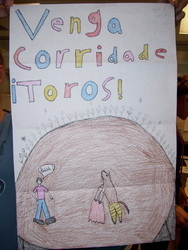 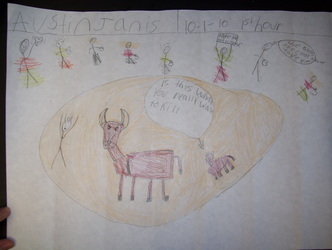 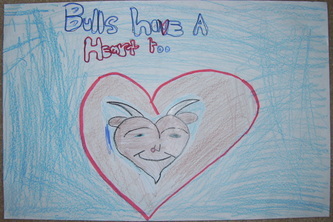 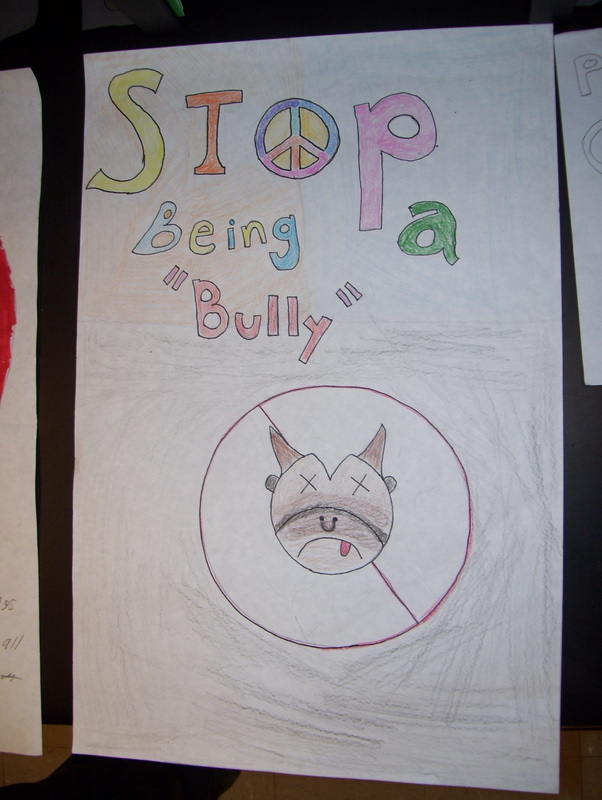 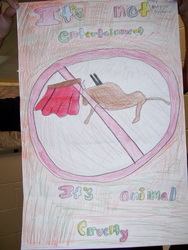 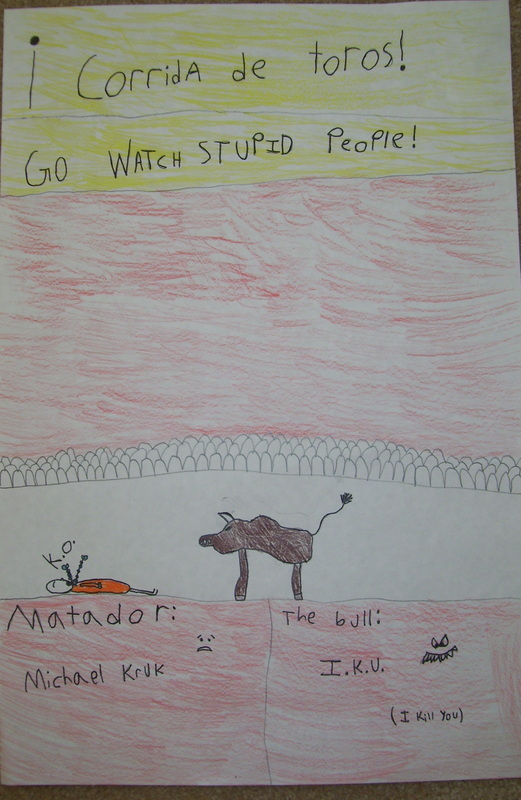 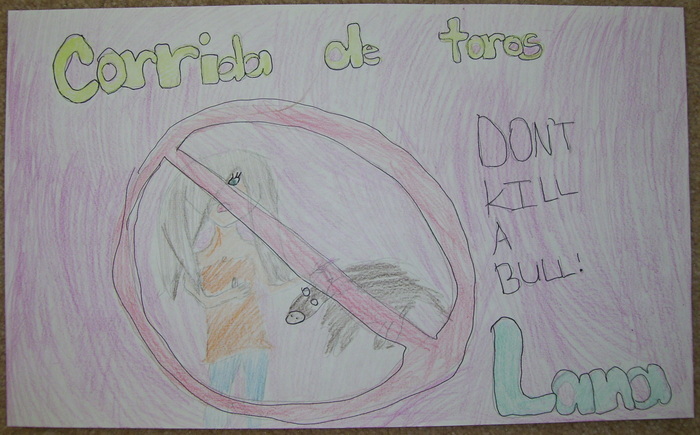 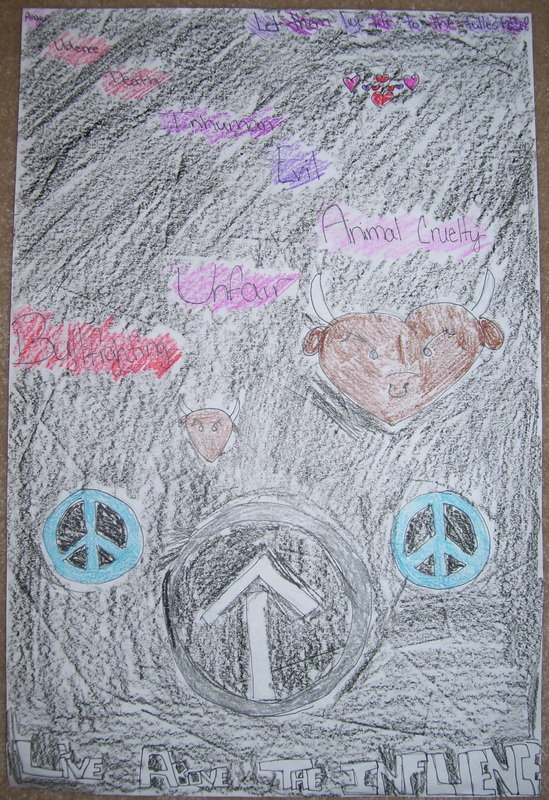 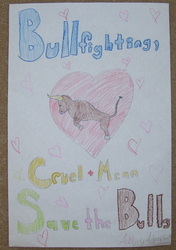 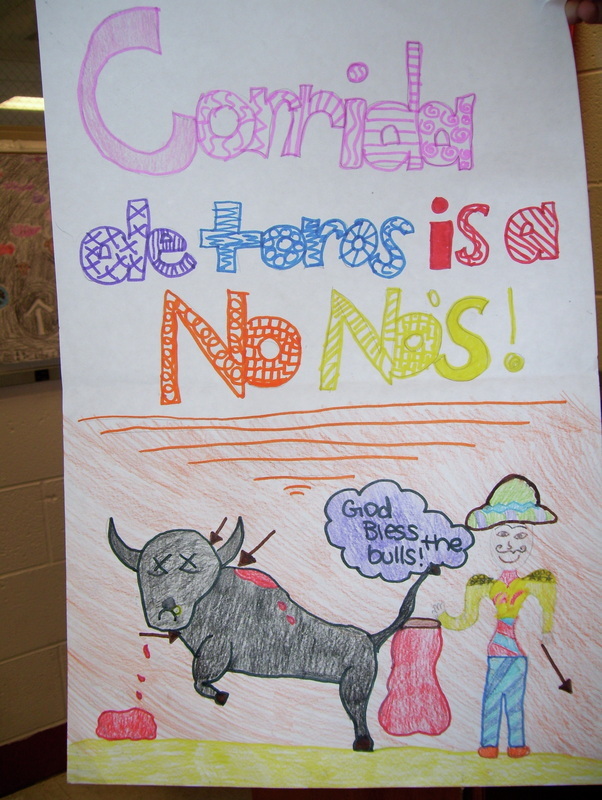 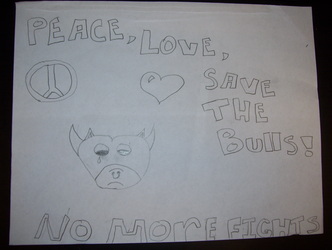 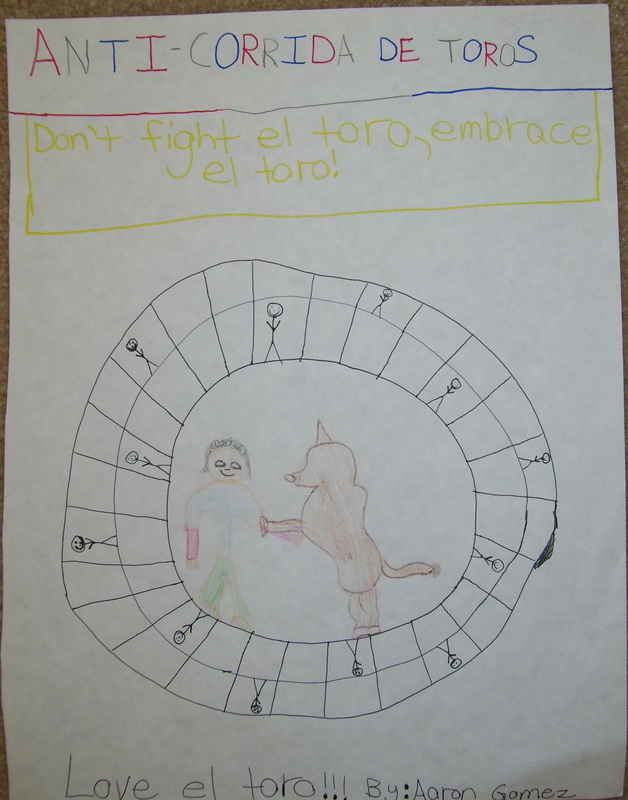 After learning the facts, students took a stance in support of bullfights or against them. 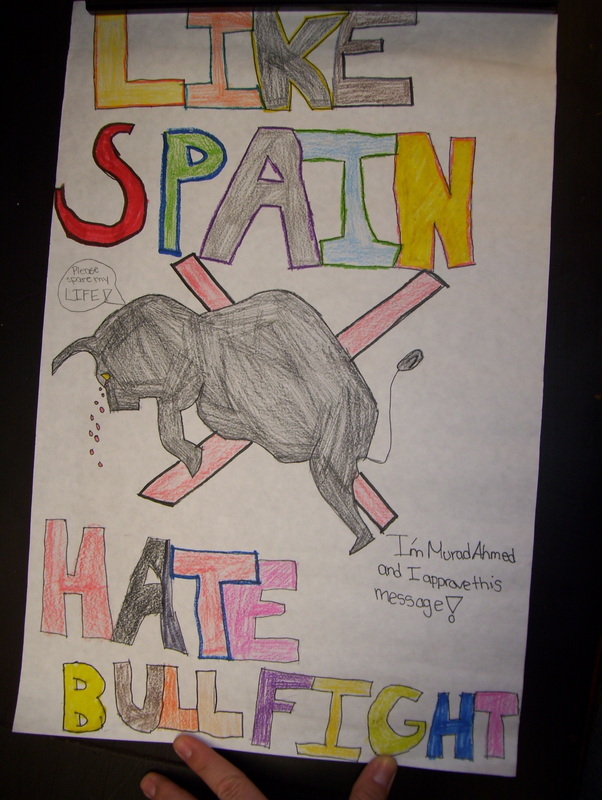 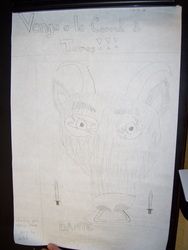 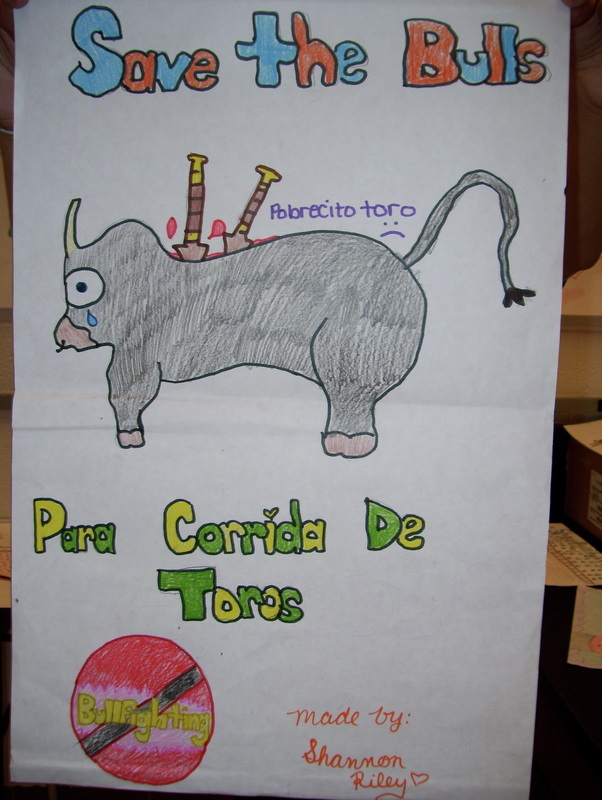 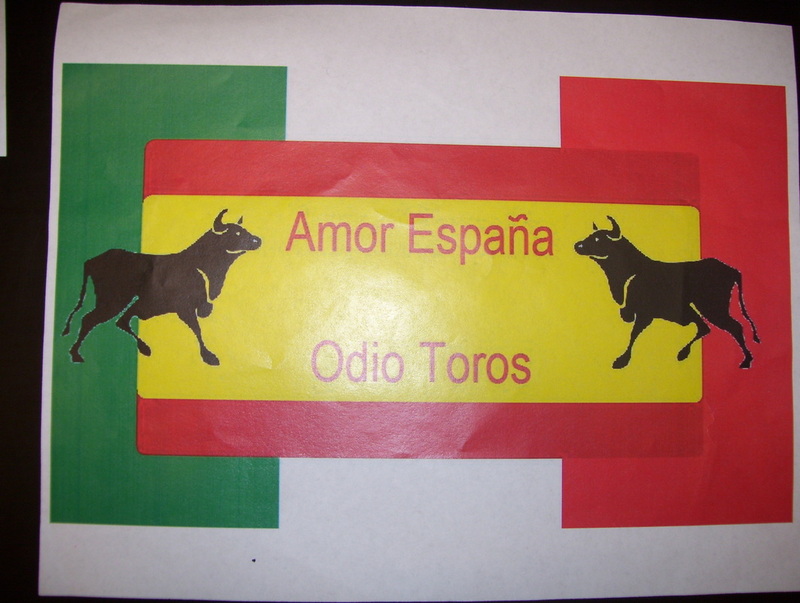 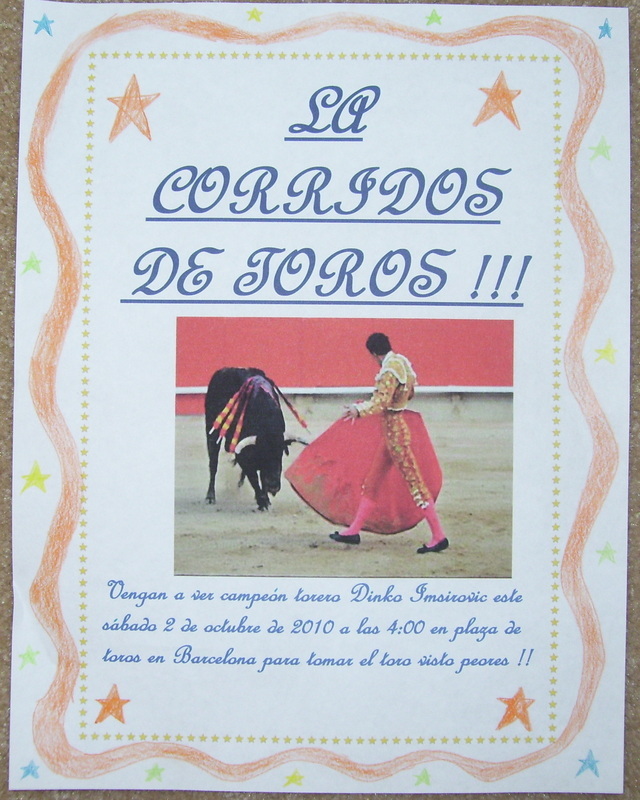 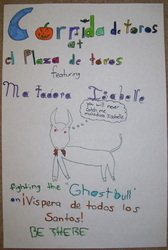 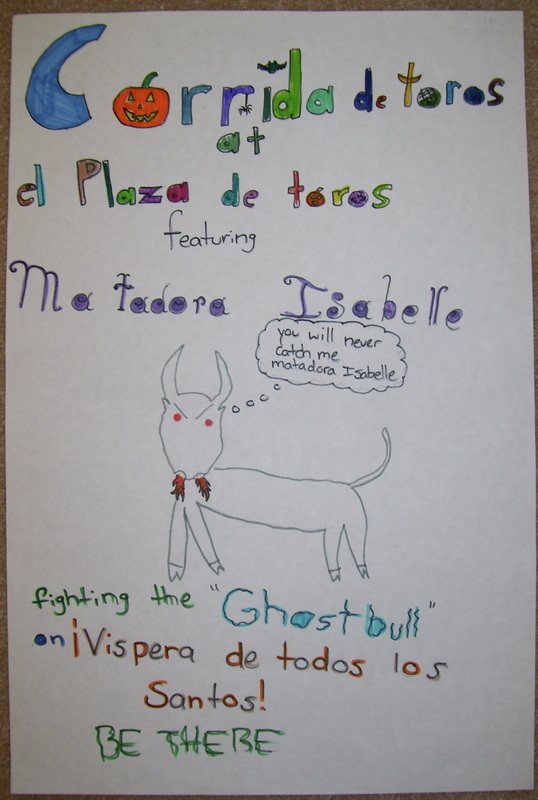 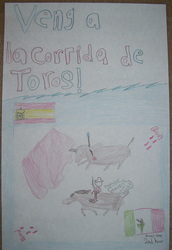 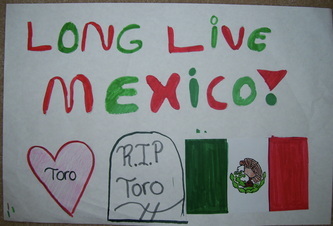 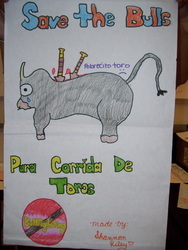 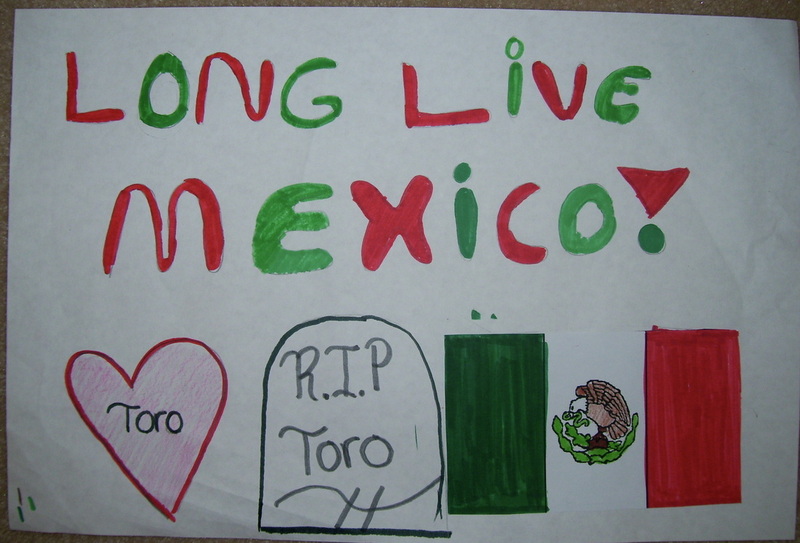 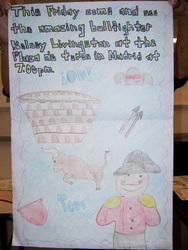 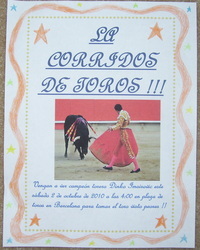 Students then made posters either advertising a bullfight (starring themselves as matadors) OR protesting bullfights in general, depending on their opinions. 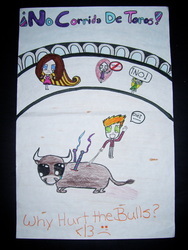 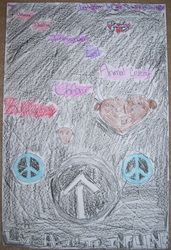 Click on an image to enlarge it, then click "Next" to view the full slideshow of images.